Show your state pride. Wear this ring to remind you where you or a loved one were born, live, married, vacationed or maybe just want to live. This ring has even been a replacement wedding ring for many husbands. 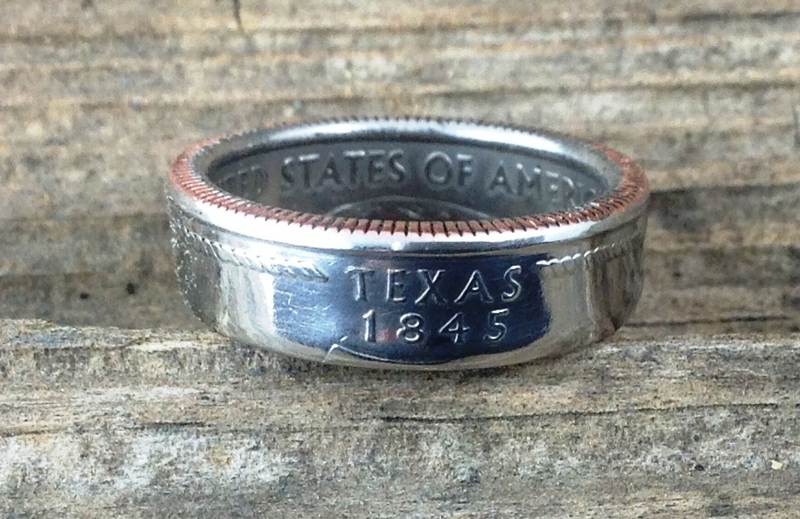 This ring is made from a Texas quarter. The inside of the ring is one side of the coin and the outside is the other side of the coin. We can make the same ring from any state quarter, so if you want another state please indicate in the box.